After 28 days, Gifty has emerged the fourth evictee from the Big Brother Naija competition putting to an end her dream of clinching the ultimate prize of 25 million naira and an SUV. 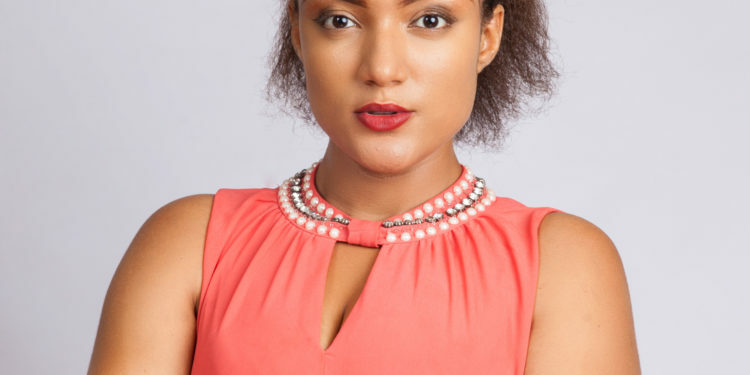 Gifty who was up for possible eviction with fellow housemates, Thin Tall Tony (TTT) and Marvis, was asked to exit the Big Brother Naija house at the live eviction show on Sunday, 19 February. Her exit was greeted with silence as she hurriedly said goodbye to the other housemates and left. 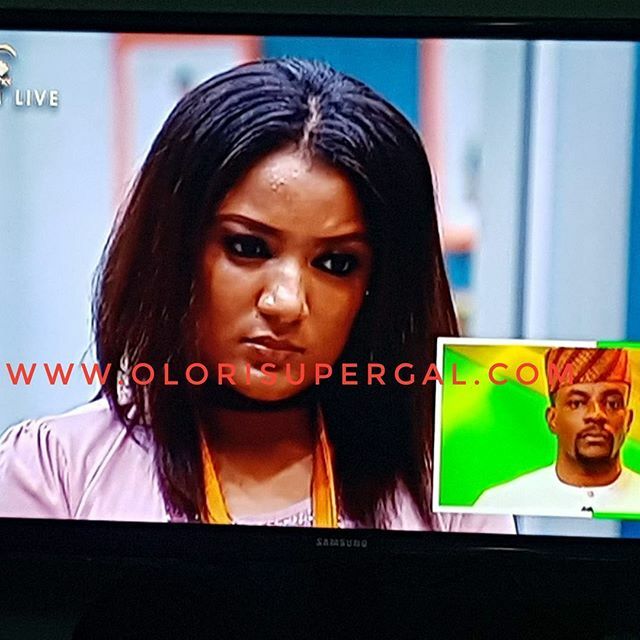 Following the announcement of her eviction, BBNaija show host, Ebuka Obi-Uchendu, revealed that Gifty secured only 25.65% of the votes while Marvis and TTT had 42.27% and 32.08% respectively. While speaking with Ebuka, a rather calm Gifty guessed that Bisola, TBoss and TTT may have nominated her but was surprised when Ebuka said Efe and Kemen actually nominated her. About her romance in the house, she said, “the kissing part was a game”. BBNaija fans watched her on and off romance with former housemate, Soma and following his eviction, she moved on quickly and found solace in the arms of Bally whom she now said she considered “as a brother”. Meanwhile, at the start of the show, Ebuka revealed yet another twist from big brother. This time three housemates would be selected randomly to come on stage with him to take part in a ‘high stakes’ game. The three nominated housemates, the fake housemates (Jon and Ese) and Bally (because he has the green advantage card) did not qualify to take part. The random selection saw Bisola, Bassey and TBoss up for the quiz. The game, according to Ebuka, had some amazing rewards on offer as well as another big advantage. If the housemates answered their questions correctly, they get to pick from the ‘win bin’ that had rewards such as immunity from nominations for the week ahead as well as a traditional Nigerian feast of the winner’s choice. In addition, the lucky housemate could win a PayPorte shopping voucher worth 200 000 Naira and a 300 000 Naira in cash, a bowl of ice cream, 28 BBNaira to shop for luxury items during the coming week or a slab of chocolate. However, if the housemates answered their questions incorrectly they would pick from the ‘lose bin’ that had a penalty of automatic nomination for the week ahead. They could also have to do a whole host of tasks in the house such as sweeping duties for the week, become the joker for the whole of the next day. 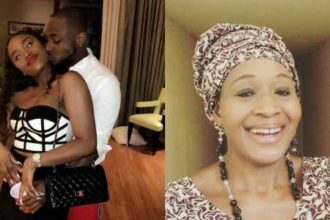 As if that was not enough, Ebuka informed them that they would have to wash dishes for a full day and they could not receive any messages from home. At the end of the game, Bisola got her answer correctly and won immunity from nomination next week. Bassey won a traditional Nigerian dish of his choice but unfortunately, TBoss didn’t get her question right and so she had to pick from the lose bin. She learned that she had to wash the dishes in the house for the next week! As always, the eviction show gets spiced up with an artiste performance. This week, hip-hop artiste, Ice Prince took to the stage and performed two tracks off his “Jos To The World” album. He also performed alongside Tanzanian artiste, Vanessa Mdee. The housemates would soon move quickly from the eviction hammer as they prepare for another round of nominations on Monday, 20 February. Big Brother Naija reality show is aired 24/7 in 45 countries from Nigeria through East, West and Southern Africa on DStv channel 198 and GOtv channel 29.